« Trading Rhino Horns for Guns: Is Zimbabwe Poaching Linked to Chinese Weapons Acquisition? 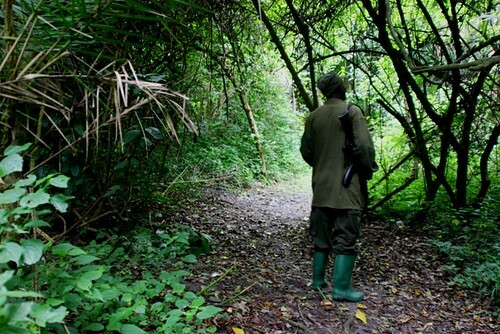 The Uganda Wildlife Authority (UWA) has partnered with chiefdoms in Jonam county in Nebbi to fight poaching and bush meat trade in the district. 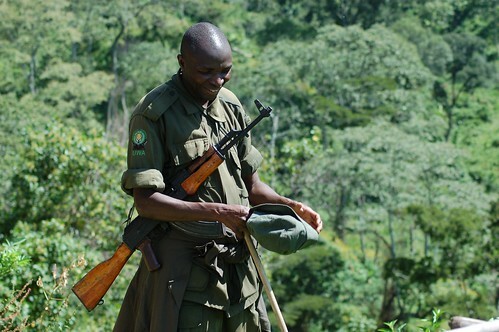 Poaching, UWA said, was threatening wildlife in the Murchison Falls National Park. The traditional chiefs have vowed to curse the poachers. During the launch of the campaign against the vice in Pakwach town council last week, poachers handed over 15 spears, seven traps and 20 wire snares that they were using to kill wild animals. Hophly Ongiertho, the Pakwach town council mayor, hailed the partnership between UWA and Jonam chiefdoms in fight bush meat trade, saying poaching and fishing were affecting the quality of education in Jonam. “Most children would rather go poaching or fishing than go to school,” he explained. This entry was posted on February 16, 2010 at 5:12 pm and is filed under Uncategorized with tags Africa, Anti Poaching, bushmeat, Conservation, Endangered Species, Janom County, poaching, stop poaching, Uganda, Uganda Wildlife Authority. You can follow any responses to this entry through the RSS 2.0 feed. You can leave a response, or trackback from your own site.